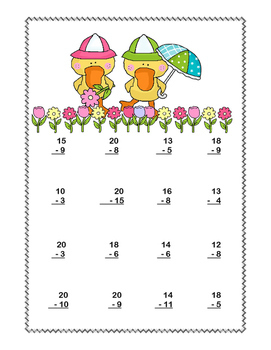 12 pages of addition and subtraction within 20 with an engaging April Showers theme throughout the collection. 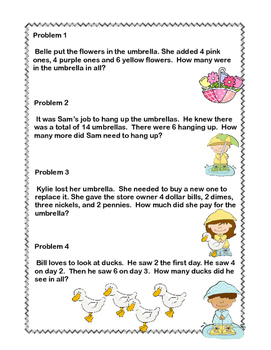 This is a fun way to practice the basic math facts. 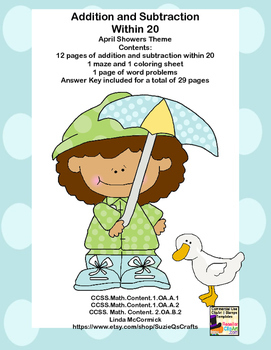 This collection can be used as morning work or as a companion to your math program. 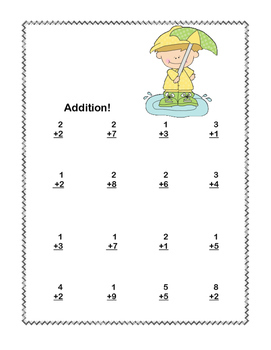 Looking for more math materials?